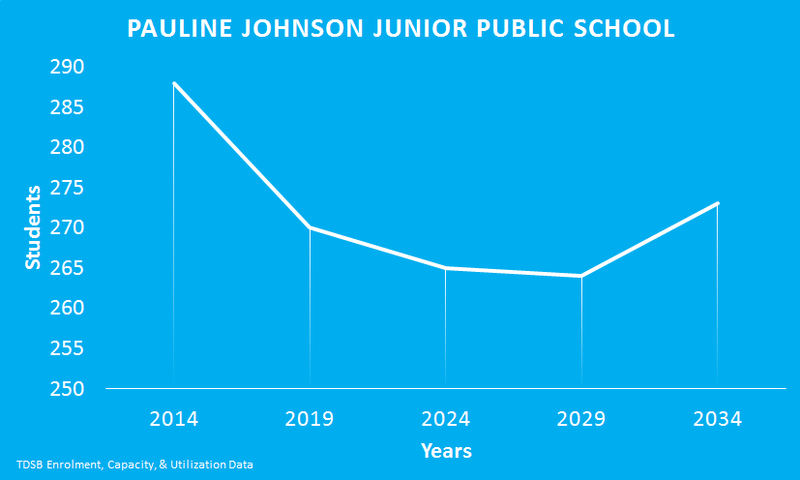 After a period of contraction, the TDSB projects that Pauline Johnson Junior Public School’s enrolment will begin to grow again in 15 years. Pauline Johnson Junior Public School is part of the Model Schools for Inner Cities Program. Pauline Johnson Junior Public School shares a campus with John Buchan Senior Public School and Stephen Leacock Collegiate Institute.